The Government of India launched a Liveability Index last year, for 116 Indian cities to measure the quality of life. It was influenced by the international practice of rating cities on liveability. This is the first time the Government of India has undertaken the task of ranking cities using ‘ease of living’ as a parameter. Cities were assessed based on four pillars — institutional, social, economic and physical. These pillars were further expanded into a comprehensive set of 79 parameters capturing the extent and quality of infrastructure, availability of roads, water waste management, solid waste management, housing, education, health care, mobility, employment opportunities, power supply, emergency response, grievance redressal, pollution, social infrastructure, public open spaces, land use, safety, security, governance and culture. Prior to this assessment, the Urban Development Ministry increased reform incentive funds, for the next three financial years, from Rs. 900 crore to Rs 10,000 crore. This step was taken to promote advance reforms in service delivery and resource mobilization, by urban local bodies. Pune is home to educational institutions, engineering industries and software companies. The city represents a new India; a perfect blend of tradition and modernity. It is a glimpse into how India is developing while in close proximity with major cities. Pune scored 58.11 out of 100 points, on the ease of living index. 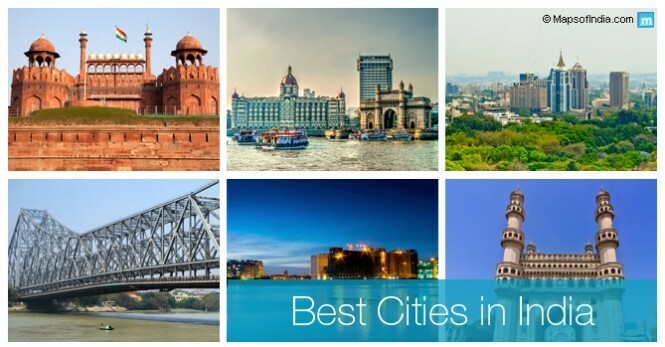 Strong governance, home to educational and business hubs and one of the largest planned cities in the world, makes Navi Mumabi India’s 2nd most liveable city in 2018. Navi Mumbai scored 58.02. A satellite town and one of the most populous metropolitans in the world, the Union Ministry of Housing and Urban Affairs declared Greater Mumbai the third most liveable city in the country. It ranked first in the liveability index category among cities with a population of more than four million. Greater Mumbai scored 57.78 on the ease of living index. The temple town of Tirupati is popular as a social institution and has been named the Best Heritage City of India, by the Ministry of Tourism. Tirupati scored 57.52 out of 100, on the ease of living index. With the highest per capita income in the country, Chandigarh is the capital of two states; Haryana and Punjab. It scored 53.16 out of 100. The ease of living index is a valuable step in measuring the quality of life in India and gives cities a measurable incentive to work harder on areas needing attention. The steps taken by cities to improve the quality of living, will help make India a leading, global power.